Never was the spirit of MOTORHEAD more alive than when they were on tour, shake, rattle and rolling audiences to within an inch of their lives thanks to that indomitable cocktail of power, purpose and head-crunching volume. In fact, after four decades of bone-pulverizing duty, MOTORHEAD were still enjoying sold-out gigs worldwide. 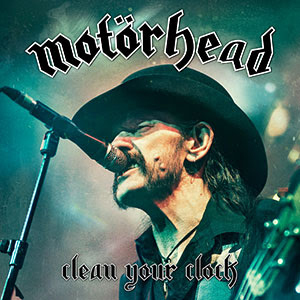 Titled Clean Your Clock, the live album will be released on May 27th.